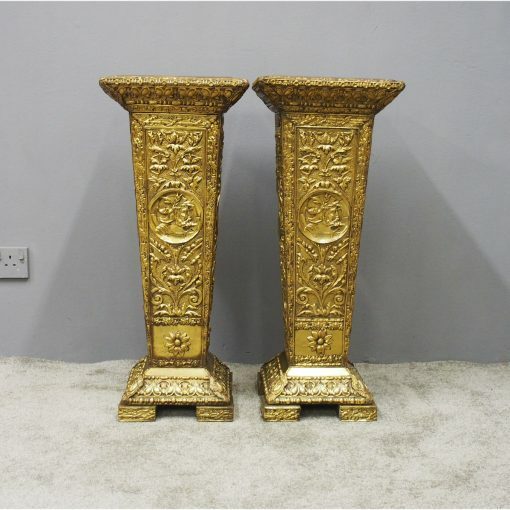 Circa 1900, unusual pair of brass and wood pedestals. 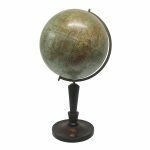 With polished wood tops and embossed brass fore-edge leading on to a tapering body that is covered in brass. They have embossed designs of swags, tails, rondels and flowers with a central portrait motif. Both stand on 4 brass block feet.